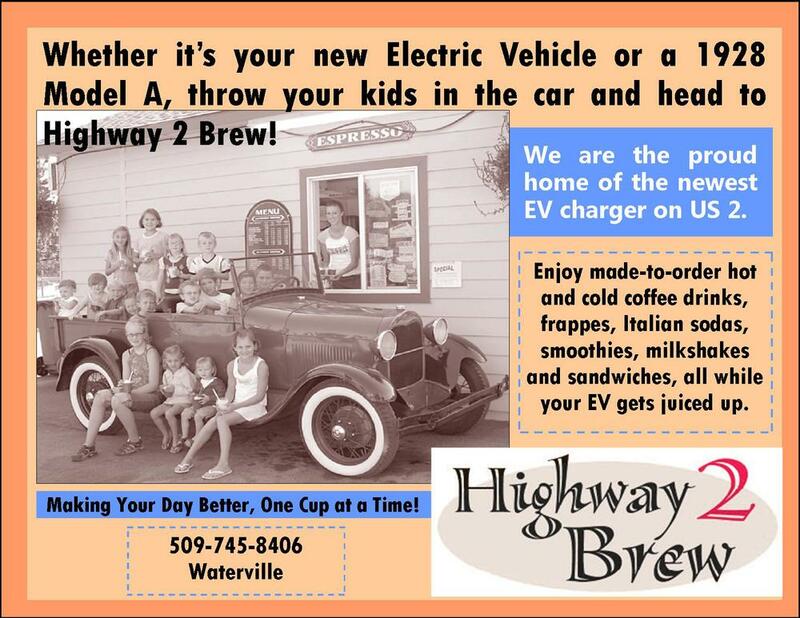 By David Morgan, resident Chelan County, Wash.
A few months ago we decided to buy a new EV just before the WA sales tax exemption expired. We sold our 2013 Volt, which we bought used in late '14, with some reluctance, as it was a great car that introduced us to a better way, convincing us almost overnight we’d never consider any car without a plug. We drove it 30,000 miles averaging 140 miles per gallon, which hinted at the possibility of forsaking gasoline forever. It was so good we later bought a lightly used ’13 Leaf for cheap and zealously convinced a few friends to buy EVs of their own. We came to see gas stations as places with squeegees and restrooms, while trying not to think about how many hours of our lives we’d wasted pumping gas and inhaling fumes. How much better is the Bolt? So much better that it’s hard to say what could be improved. I’m not going to detail the solid feel, comfy seats, serene quiet, and rocket acceleration. I guess it’s a little small but we’re used to that (the only gas car we ever owned was a ‘95 Neon), which goes hand in hand with conservation. And the idea of buying a new car was intimidating. But not as much as climate change. We wanted to be liberated from petroleum forever and the Bolt was the only realistic way to do it. In four months we’ve gone 8,000 miles. We’ve never been tempted to drive so much, all without asking ourselves: Is this trip really necessary? I seriously doubt we’ve spent $100 charging. We’ve been to Spokane a few times and the west side of the Cascades several times. We even drove from Leavenworth to downtown Seattle and back without charging, but with all the places to plug in over there it wasn’t necessary other than to prove it could be done (once was enough). But the best road trip took us nearly to California, visiting National Parks along US 97 in Eastern Oregon along the way, covering 1,200 miles for about $37 in charging fees. You might be surprised how easy it is to charge. Here in the Northwest there are new charging stations being added to the network every week or so. I hope the following illustrates how affordable and simple it is around here for anyone to ditch gas once and for all. 1. We unplugged from our garage with a full battery, which GM says is good for 238 miles (we can easily do better in mild weather). 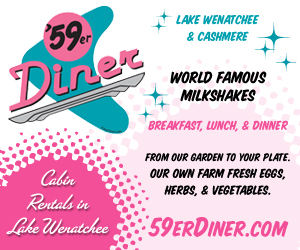 In case you’re wondering, that charge added about $1.80 to our Chelan County PUD bill. 2. We used a free fast charger in Yakima at a Chevy dealer. About 20 minutes added more than enough extra juice to reach Mauphin, OR, which I’m not even sure was necessary but why not when it was convenient, and we needed a stretch break anyway? We found this charger, and all others, using the Plugshare website/app, which lists fees and other details such as nearby things to do, places to eat, etc. 3. We camped in the Mauphin city park overnight and plugged into an RV outlet using our JuiceBox charger. 4. We left the next day with another full battery. Although we didn’t need to charge, while we ate breakfast in Madras we plugged in at a regular charger at City Hall two blocks away, gaining about 30 miles for free. 5. 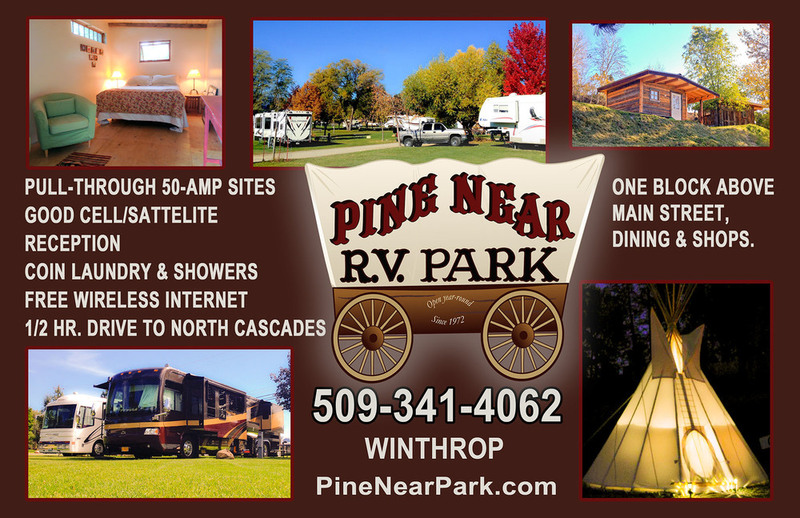 After a long day including three great hikes in different parts of Newberry National Volcanic Monument, that night we camped at Big Pines RV campground (very nice!) in Crescent, OR and used an RV outlet to fill up while we slept. 6. 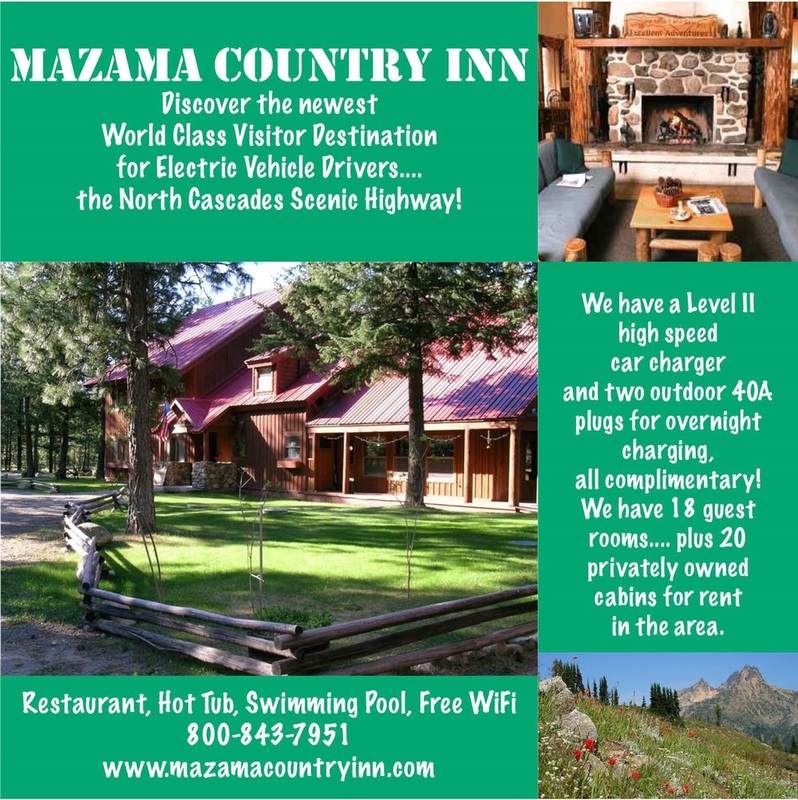 We spent the next three days driving and hiking all over Crater Lake National Park, charging several times for free at Mazama Village, our home base in the park, whenever it was convenient. Occasionally we saw other EVs at this charging station, but sharing was no problem. 7. It was sad to leave Crater Lake but the consolation was even though the battery was full when we departed, while descending about 4,000 feet back to civilization the car kept charging itself passively and kept us from speeding down the hill, which is a neat trick! Using the electric brakes, the Bolt crammed in more electrons until the display said we added about 150 miles of range. All I had to do was steer and admire the scenery. Who wants to use primitive, energy-wasting mechanical brakes anyway? 8. We drove a few hours to Oregon Caves National Monument near California, hiked underground, and later drove to Wolf Creek, OR. 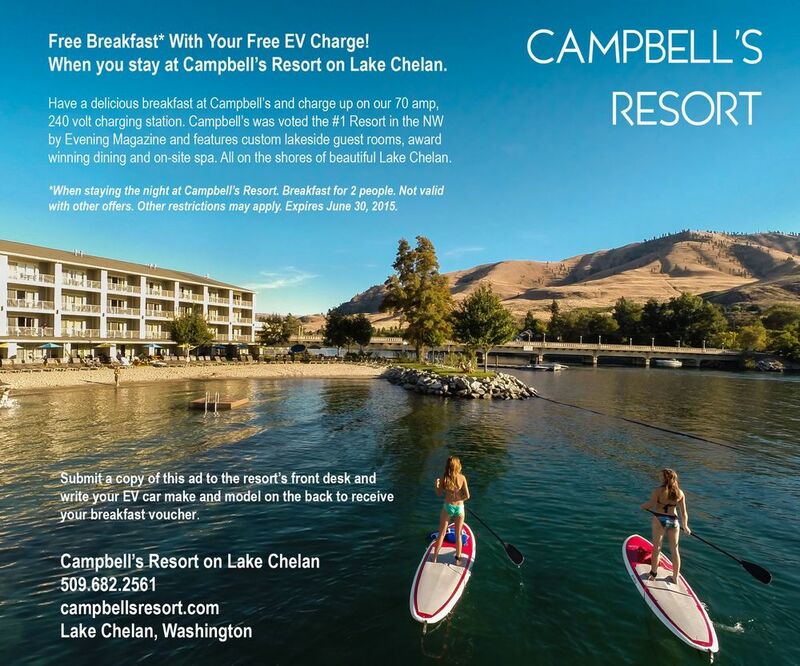 That night, for the first time on this trip, we had to pay to charge (flat fee $4) while plugged in overnight at a regular charger next to our hotel. 9. The next day the girls had donuts on their mind, not to mention their own beds. So we headed home via I-5 stopping briefly in Salem for Voodoo Donuts in a big pink box for the road. Later while eating lunch near Eugene we used a fast charger for about 90 minutes, which nearly filled the battery (flat fee $10). Later we ate dinner while charging at another fast charger at Tacoma Mall (pay by the minute $22.85 total) which easily got us all the way home, even though we didn’t wait for a full charge. We’re already planning next summer’s EV adventure into Northern California. Meanwhile I hope you find some EV inspiration. And consider this an invitation to contact me if you’re EV curious.